Cap HPI is calling on the Government to address the rising company car driver tax burden, as revealed in new analysis. Research carried out by the firm on popular fleet vehicle, the BMW 320d SE found that while the list price of the vehicle had risen by 23% the BIK had risen 105% since 2009. In the same period, real wages have only risen 20%. The company is adding to existing calls for the Government to rethink its approach to taxing company car drivers ahead of the Budget on 29 October – including in Fleet World’s campaign. 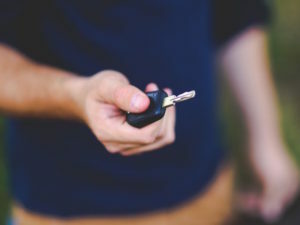 Recent HMRC figures show the number of UK employees taking company cars fell by 20,000 during the last tax year, as rising tax burdens continue to take their toll on demand, with employees increasingly turning to personal contract hire instead, as shown by latest BVRLA figures. Yet, as Maxxia Group has previously warned, opt-out drivers can increase costs and exposure to risk. Commenting on the findings, Matt Freeman, managing consultant at Cap HPI Consulting, said: “The fleet sector is hugely important to the motor industry and in most years accounts for around half of all new car sales. Successive governments have continued to ramp up taxes on company car drivers to the point where it has become punitive. To help fleets assess the tax liabilities of models, Cap has launched new functionality to provide up to the minute data on NEDC and new NEDC Correlated (WLTP) figures and allow models to be compared and BiK information calculated. A new portal is also available to Cap customers with the latest information and in-depth analysis on WLTP. It also provides tools to help navigate the changes impacting the industry.